AWS Devops Interview Questions And Answers For Experienced 2018. 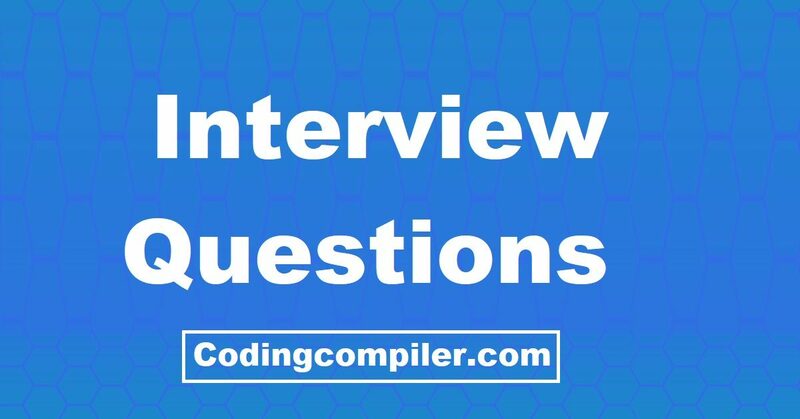 Here in this blog post Coding compiler presenting a list of 50 AWS Interview Questions for Devops professionals. These 50 Devops interview questions prepared by AWS DevOps experts and were asked in various MNC companies for AWS DevOps Job Interview. Read these AWS Devops interview questions and answers to crack you next AWS Job Interview. All the best for your future and happy learning. What is Amazon Web Services in DevOps? What is the role of a DevOps engineer? What is Dev Ops with cloud computing? Why do we use AWS for DevOps? What is DevOps Tooling by AWS? How do you handle Continuous Integration and Continuous Delivery in AWS Devops? What is AWS CodePipeline in AWS Devops? What is AWS CodeBuild in AWS Devops? What is AWS CodeDeploy in AWS Devops? What is AWS CodeStar in AWS Devops? What is Amazon Elastic Container Service in AWS Devops? What is AWS Lambda in AWS Devops? What are AWS Developer Tools? What is CodeCommit in AWS Devops? What are the benefits of AWS CodeBuild in AWS Devops? What is Amazon EC2 in AWS Devops? What is Amazon S3 in AWS Devops? What is Amazon RDS in AWS Devops? What is Amazon QuickSight in AWS Devops? What is AWS IoT in AWS Devops? What are the benefits of AWS CodeDeploy in AWS Devops? Question # 1) What is Amazon Web Services in DevOps? Answer # AWS provides services that help you practice DevOps at your company and that are built first for use with AWS. These tools automate manual tasks, help teams manage complex environments at scale, and keep engineers in control of the high velocity that is enabled by DevOps. Question # 2) What is the role of a DevOps engineer? Answer # There’s no formal career track for becoming a DevOps engineer. They are either developers who get interested in deployment and network operations, or sysadmins who have a passion for scripting and coding, and move into the development side where they can improve the planning of test and deployment. Question # 3) What is Dev Ops with cloud computing? Answer # Inseparable development and operations practices are universally relevant. Cloud computing, Agile development, and DevOps are interlocking parts of a strategy for transforming IT into a business adaptability enabler. If cloud is an instrument, then DevOps is the musician that plays it. Question # 4) Why do we use AWS for DevOps? Get Started Fast – Each AWS service is ready to use if you have an AWS account. There is no setup required or software to install. Fully Managed Services – These services can help you take advantage of AWS resources quicker. You can worry less about setting up, installing, and operating infrastructure on your own. This lets you focus on your core product. Built for Scale – You can manage a single instance or scale to thousands using AWS services. These services help you make the most of flexible compute resources by simplifying provisioning, configuration, and scaling. Programmable – You have the option to use each service via the AWS Command Line Interface or through APIs and SDKs. You can also model and provision AWS resources and your entire AWS infrastructure using declarative AWS CloudFormation templates. Automation – AWS helps you use automation so you can build faster and more efficiently. Using AWS services, you can automate manual tasks or processes such as deployments, development & test workflows, container management, and configuration management. Secure – Use AWS Identity and Access Management (IAM) to set user permissions and policies. This gives you granular control over who can access your resources and how they access those resources. Large Partner Ecosystem – AWS supports a large ecosystem of partners which integrate with and extend AWS services. Use your preferred third-party and open source tools with AWS to build an end-to-end solution. Pay-As-You-Go – With AWS purchase services as you need them and only for the period when you plan to use them. AWS pricing has no upfront fees, termination penalties, or long term contracts. The AWS Free Tier helps you get started with AWS. Question # 5) What is DevOps Tooling by AWS? Question # 6) How do you handle Continuous Integration and Continuous Delivery in AWS Devops? Answer # The AWS Developer Tools help you securely store and version your application’s source code and automatically build, test, and deploy your application to AWS or your on-premises environment. Start with AWS CodePipeline to build a continuous integration or continuous delivery workflow that uses AWS CodeBuild, AWS CodeDeploy, and other tools, or use each service separately. Question # 7) What is AWS CodePipeline in AWS Devops? A) AWS CodePipeline is a continuous integration and continuous delivery service for fast and reliable application and infrastructure updates. CodePipeline builds, tests, and deploys your code every time there is a code change, based on the release process models you define. This enables you to rapidly and reliably deliver features and updates. Question # 8) What is AWS CodeBuild in AWS Devops? Answer # AWS CodeBuild is a fully managed build service that compiles source code, runs tests, and produces software packages that are ready to deploy. With CodeBuild, you don’t need to provision, manage, and scale your own build servers. CodeBuild scales continuously and processes multiple builds concurrently, so your builds are not left waiting in a queue. Question # 9) What is AWS CodeDeploy in AWS Devops? Answer # AWS CodeDeploy automates code deployments to any instance, including Amazon EC2 instances and on-premises servers. AWS CodeDeploy makes it easier for you to rapidly release new features, helps you avoid downtime during application deployment, and handles the complexity of updating your applications. Question # 10) What is AWS CodeStar in AWS Devops? Answer # AWS CodeStar enables you to quickly develop, build, and deploy applications on AWS. AWS CodeStar provides a unified user interface, enabling you to easily manage your software development activities in one place. With AWS CodeStar, you can set up your entire continuous delivery toolchain in minutes, allowing you to start releasing code faster. AWS Devops Interview Questions # 11) How Instacart uses AWS Devops? Answer # Instacart uses AWS CodeDeploy to automate deployments for all of its front-end and back-end services. Using AWS CodeDeploy has enabled Instacart’s developers to focus on their product and worry less about deployment operations. AWS Devops Interview Questions # 12) How lululemon athletica uses AWS Devops? Answer # lululemon athletica uses a variety of AWS services to engineer a fully automated, continuous integration and delivery system. lululemon deploys artifacts distributed via Amazon S3 using AWS CodePipeline. From this stage, the artifacts are deployed to AWS Elastic Beanstalk. AWS Devops Interview Questions # 13) What is Amazon Elastic Container Service in AWS Devops? Answer # Amazon Elastic Container Service (ECS) is a highly scalable, high performance container management service that supports Docker containers and allows you to easily run applications on a managed cluster of Amazon EC2 instances. AWS Devops Interview Questions # 14) What is AWS Lambda in AWS Devops? Answer # AWS Lambda lets you run code without provisioning or managing servers. With Lambda, you can run code for virtually any type of application or backend service – all with zero administration. Just upload your code and Lambda takes care of everything required to run and scale your code with high availability. AWS Devops Interview Questions # 15) What are AWS Developer Tools? Answer # The AWS Developer Tools is a set of services designed to enable developers and IT operations professionals practicing DevOps to rapidly and safely deliver software. Together, these services help you securely store and version control your application’s source code and automatically build, test, and deploy your application to AWS or your on-premises environment. You can use AWS CodePipeline to orchestrate an end-to-end software release workflow using these services and third-party tools or integrate each service independently with your existing tools. AWS Devops Interview Questions # 16) What is CodeCommit in AWS Devops? Answer # AWS CodeCommit is a fully-managed source control service that makes it easy for companies to host secure and highly scalable private Git repositories. CodeCommit eliminates the need to operate your own source control system or worry about scaling its infrastructure. You can use CodeCommit to securely store anything from source code to binaries, and it works seamlessly with your existing Git tools. AWS Devops Interview Questions # 17) What are the benefits of AWS CodeBuild in AWS Devops? Answer # AWS CodeBuild is a fully managed build service that compiles source code, runs tests, and produces software packages that are ready to deploy. With CodeBuild, you don’t need to provision, manage, and scale your own build servers. CodeBuild scales continuously and processes multiple builds concurrently, so your builds are not left waiting in a queue. You can get started quickly by using prepackaged build environments, or you can create custom build environments that use your own build tools. With CodeBuild, you are charged by the minute for the compute resources you use. Fully Managed Build Service – AWS CodeBuild eliminates the need to set up, patch, update, and manage your own build servers and software. There is no software to install or manage. Continuous Scaling – AWS CodeBuild scales automatically to meet your build volume. It immediately processes each build you submit and can run separate builds concurrently, which means your builds are not left waiting in a queue. Pay as You Go – With AWS CodeBuild, you are charged based on the number of minutes it takes to complete your build. Extensible – You can bring your own build tools and programming runtimes to use with AWS CodeBuild by creating customized build environments in addition to the prepackaged build tools and runtimes supported by CodeBuild. Enables Continuous Integration and Delivery – AWS CodeBuild belongs to a family of AWS Code Services, which you can use to create complete, automated software release workflows for continuous integration and delivery (CI/CD). You can also integrate CodeBuild into your existing CI/CD workflow. Secure – With AWS CodeBuild, your build artifacts are encrypted with customer-specific keys that are managed by the AWS Key Management Service (KMS). CodeBuild is integrated with AWS Identity and Access Management (IAM), so you can assign user-specific permissions to your build projects. AWS Devops Interview Questions # 18) What is Amazon EC2 in AWS Devops? Answer # Amazon Elastic Compute Cloud (Amazon EC2) is a web service that provides secure, resizable compute capacity in the cloud. It is designed to make web-scale cloud computing easier for developers. AWS Devops Interview Questions # 19) What is Amazon S3 in AWS Devops? Answer # Amazon Simple Storage Service (Amazon S3) is object storage with a simple web service interface to store and retrieve any amount of data from anywhere on the web. AWS Devops Interview Questions # 20) What is Amazon RDS in AWS Devops? Answer # Amazon Relational Database Service (Amazon RDS) makes it easy to set up, operate, and scale a relational database in the cloud. Question # 21) What is AWS Lambda in AWS Devops? Answer # AWS Lambda lets you run code without provisioning or managing servers. You pay only for the compute time you consume – there is no charge when your code is not running. Question # 22) What is Amazon QuickSight in AWS Devops? Answer # Amazon QuickSight is a fast, cloud-powered business analytics service that makes it easy to build visualizations, perform ad-hoc analysis, and quickly get business insights from your data. Question # 23) What is AWS IoT in AWS Devops? Answer # AWS IoT is a managed cloud platform that lets connected devices easily and securely interact with cloud applications and other devices. Question # 24) What are the benefits of AWS CodeDeploy in AWS Devops? Answer # AWS CodeDeploy is a service that automates software deployments to a variety of compute services including Amazon EC2, AWS Lambda, and instances running on-premises. AWS CodeDeploy makes it easier for you to rapidly release new features, helps you avoid downtime during application deployment, and handles the complexity of updating your applications. Automated Deployments – AWS CodeDeploy fully automates your software deployments, allowing you to deploy reliably and rapidly. You can consistently deploy your application across your development, test, and production environments whether deploying to Amazon EC2, AWS Lambda, or instances running on-premises. The service scales with your infrastructure so you can deploy to one Lambda function or thousands of EC2 instances. Minimize Downtime – AWS CodeDeploy helps maximize your application availability during the software deployment process. It introduces changes incrementally and tracks application health according to configurable rules. Software deployments can easily be stopped and rolled back if there are errors. Centralized Control – AWS CodeDeploy allows you to easily launch and track the status of your application deployments through the AWS Management Console or the AWS CLI. CodeDeploy gives you a detailed report allowing you to view when and to where each application revision was deployed. Easy To Adopt – AWS CodeDeploy is platform and language agnostic, works with any application, and provides the same experience whether you’re deploying to Amazon EC2 or AWS Lambda. You can easily reuse your existing setup code. CodeDeploy can also integrate with your existing software release process or continuous delivery toolchain (e.g., AWS CodePipeline, GitHub, Jenkins). Question # 25) How can you use CodeBuild to automate your release process? Answer # Yes. CodeBuild is integrated with AWS CodePipeline. You can add a build action and set up a continuous integration and continuous delivery process that runs in the cloud. Question # 26) What is a build project in AWS Devops? Answer # A build project is used to define how CodeBuild will run a build. It includes information such as where to get the source code, which build environment to use, the build commands to run, and where to store the build output. A build environment is the combination of operating system, programming language runtime, and tools used by CodeBuild to run a build. Question # 27) How do you configure a build project in AWS Devops? Answer # A build project can be configured through the console or the AWS CLI. You specify the source repository location, the runtime environment, the build commands, the IAM role assumed by the container, and the compute class required to run the build. Optionally, you can specify build commands in a buildspec.yml file. Question # 28) Which source repositories does CodeBuild support in AWS Devops? Answer # CodeBuild can connect to AWS CodeCommit, S3, and GitHub to pull source code for builds. Question # 29) Which programming frameworks does CodeBuild support in AWS Devops? Answer # CodeBuild provides preconfigured environments for supported versions of Java, Ruby, Python, Go, Node.js, Android, and Docker. You can also customize your own environment by creating a Docker image and uploading it to the Amazon EC2 Container Registry or the Docker Hub registry. You can then reference this custom image in your build project. Question # 30) What happens when a build is run in CodeBuild in AWS Devops? Answer # CodeBuild will create a temporary compute container of the class defined in the build project, load it with the specified runtime environment, download the source code, execute the commands configured in the project, upload the generated artifact to an S3 bucket, and then destroy the compute container. During the build, CodeBuild will stream the build output to the service console and Amazon CloudWatch Logs. AWS Devops Interview Questions # 31) How do you set up your first build in CodeBuild in AWS Devops? Answer # Sign in to the AWS Management Console, create a build project, and then run a build. AWS Devops Interview Questions # 32) How can you use CodeBuild with Jenkins in AWS Devops? Answer # Yes. The CodeBuild Plugin for Jenkins can be used to integrate CodeBuild into Jenkins jobs. The build jobs are sent to CodeBuild, eliminating the need for provisioning and managing the Jenkins worker nodes. AWS Devops Interview Questions # 33) How can you view past build results in AWS CodeBuild? Answer # You can access your past build results through the console or the API. The results include outcome (success or failure), build duration, output artifact location, and log location. AWS Devops Interview Questions # 34) How can you debug a past build failure in AWS CodeBuild? Answer # You can debug a build by inspecting the detailed logs generated during the build run. AWS Devops Interview Questions # 35) What types of applications can you build with AWS CodeStar? AWS Devops Interview Questions # 36) How do you add, remove or change users for my AWS CodeStar projects? Answer # You can add, change or remove users for your CodeStar project through the “Team” section of the CodeStar console. You can choose to grant the users Owner, Contributor or Viewer permissions. You can also remove users or change their roles at any time. AWS Devops Interview Questions # 37) How do AWS CodeStar users relate to IAM users? Answer # CodeStar users are IAM users that are managed by CodeStar to provide pre-built, role-based access policies across your development environment; Because CodeStar users are built on IAM, you still get the administrative benefits of IAM. For example, if you add an existing IAM user to a CodeStar project, the existing global account policies in IAM are still enforced. AWS Devops Interview Questions # 38) Can I work on my AWS CodeStar projects directly from an IDE? Answer # Yes. By installing the AWS Toolkit for Eclipse or Visual Studio you gain the ability to easily configure your local development environment to work with CodeStar Projects; Once installed, developers can then select from a list of available CodeStar projects and have their development tooling automatically configured to clone and checkout their project’s source code, all from within their IDE. AWS Devops Interview Questions # 39) How do you configure my project dashboard? Answer # Project dashboards can be configured to show the tiles you want, where you want them; To add or remove tiles, click on the “Tiles” drop‑down on your project dashboard. To change the layout of your project dashboard, drag the tile to your desired position. AWS Devops Interview Questions # 40) Are there any third party integrations that we can use with AWS CodeStar? Answer # AWS CodeStar works with Atlassian JIRA to integrate issue management with your projects. Question # 41) Can we use AWS CodeStar to help manage my existing AWS applications? Answer # No. AWS CodeStar helps customers quickly start new software projects on AWS. Each CodeStar project includes development tools, including AWS CodePipeline, AWS CodeCommit, AWS CodeBuild and AWS CodeDeploy, that can be used on their own and with existing AWS applications. Question # 42) Why AWS DevOps Matters? Answer # Software and the Internet have transformed the world and its industries, from shopping to entertainment to banking. Software no longer merely supports a business; rather it becomes an integral component of every part of a business. Companies interact with their customers through software delivered as online services or applications and on all sorts of devices. They also use software to increase operational efficiencies by transforming every part of the value chain, such as logistics, communications, and operations. In a similar way that physical goods companies transformed how they design, build, and deliver products using industrial automation throughout the 20th century, companies in today’s world must transform how they build and deliver software. Question # 43) How to Adopt a AWS DevOps Model? Answer # Transitioning to DevOps requires a change in culture and mindset. At its simplest, DevOps is about removing the barriers between two traditionally siloed teams, development and operations. In some organizations, there may not even be separate development and operations teams; engineers may do both. With DevOps, the two teams work together to optimize both the productivity of developers and the reliability of operations. They strive to communicate frequently, increase efficiencies, and improve the quality of services they provide to customers. They take full ownership for their services, often beyond where their stated roles or titles have traditionally been scoped by thinking about the end customer’s needs and how they can contribute to solving those needs. Quality assurance and security teams may also become tightly integrated with these teams. Organizations using a DevOps model, regardless of their organizational structure, have teams that view the entire development and infrastructure lifecycle as part of their responsibilities. Question # 44) What are DevOps Practices? Answer # There are a few key practices that help organizations innovate faster through automating and streamlining the software development and infrastructure management processes. Most of these practices are accomplished with proper tooling. One fundamental practice is to perform very frequent but small updates. This is how organizations innovate faster for their customers. These updates are usually more incremental in nature than the occasional updates performed under traditional release practices. Frequent but small updates make each deployment less risky. They help teams address bugs faster because teams can identify the last deployment that caused the error. Although the cadence and size of updates will vary, organizations using a DevOps model deploy updates much more often than organizations using traditional software development practices. Organizations might also use a microservices architecture to make their applications more flexible and enable quicker innovation. The microservices architecture decouples large, complex systems into simple, independent projects. Applications are broken into many individual components (services) with each service scoped to a single purpose or function and operated independently of its peer services and the application as a whole. This architecture reduces the coordination overhead of updating applications, and when each service is paired with small, agile teams who take ownership of each service, organizations can move more quickly. However, the combination of microservices and increased release frequency leads to significantly more deployments which can present operational challenges. Thus, DevOps practices like continuous integration and continuous delivery solve these issues and let organizations deliver rapidly in a safe and reliable manner. Infrastructure automation practices, like infrastructure as code and configuration management, help to keep computing resources elastic and responsive to frequent changes. In addition, the use of monitoring and logging helps engineers track the performance of applications and infrastructure so they can react quickly to problems. Together, these practices help organizations deliver faster, more reliable updates to their customers. Here is an overview of important DevOps practices. Question # 45) What is Continuous Integration in AWS Devops? Answer # Continuous integration is a software development practice where developers regularly merge their code changes into a central repository, after which automated builds and tests are run. The key goals of continuous integration are to find and address bugs quicker, improve software quality, and reduce the time it takes to validate and release new software updates. Question # 46) What is Continuous Delivery in AWs Devops? Answer # Continuous delivery is a software development practice where code changes are automatically built, tested, and prepared for a release to production. It expands upon continuous integration by deploying all code changes to a testing environment and/or a production environment after the build stage. When continuous delivery is implemented properly, developers will always have a deployment-ready build artifact that has passed through a standardized test process. Question # 47) What are Microservices in AWS Devops? Answer # The microservices architecture is a design approach to build a single application as a set of small services. Each service runs in its own process and communicates with other services through a well-defined interface using a lightweight mechanism, typically an HTTP-based application programming interface (API). Microservices are built around business capabilities; each service is scoped to a single purpose. You can use different frameworks or programming languages to write microservices and deploy them independently, as a single service, or as a group of services. Question # 48) What is Infrastructure as Code in AWS Devops? Answer # Infrastructure as code is a practice in which infrastructure is provisioned and managed using code and software development techniques, such as version control and continuous integration. The cloud’s API-driven model enables developers and system administrators to interact with infrastructure programmatically, and at scale, instead of needing to manually set up and configure resources. Thus, engineers can interface with infrastructure using code-based tools and treat infrastructure in a manner similar to how they treat application code. Because they are defined by code, infrastructure and servers can quickly be deployed using standardized patterns, updated with the latest patches and versions, or duplicated in repeatable ways. Question # 49) What is AWS CloudFormation in AWS Devops? Answer # AWS CloudFormation is a service that gives developers and businesses an easy way to create a collection of related AWS resources and provision them in an orderly and predictable fashion. Question # 50) How is AWS CloudFormation different from AWS Elastic Beanstalk? These services are designed to complement each other. AWS Elastic Beanstalk provides an environment to easily deploy and run applications in the cloud. It is integrated with developer tools and provides a one-stop experience for you to manage the lifecycle of your applications. AWS CloudFormation is a convenient provisioning mechanism for a broad range of AWS resources. It supports the infrastructure needs of many different types of applications such as existing enterprise applications, legacy applications, applications built using a variety of AWS resources and container-based solutions (including those built using AWS Elastic Beanstalk). Benefits of Robotic Process Automation – Robotic Process Automation Benefits. 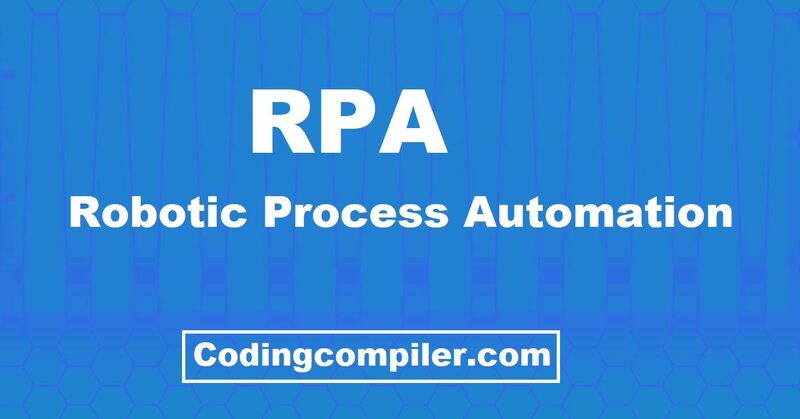 Here in this blog post coding compiler will discuss on how an organization can efficiently and accurately implement automation processes with the help of Robotic Process Automation (RPA) and what are the Benefits of RPA. What can RPA do for Organizations? RPA Delivering Digital Transformation where it matters. Improves efficiency and lays the groundwork for an improved customer experience. In the near future, we will see machines taking a more active role in enhancing human endeavors and renovating the customer experience with RPA will become a digital priority. Today, companies in many sectors are already applying RPA, in order to transform customer services, financial performance and improve compliance. They expect RPA to drive productivity by automating transactional tasks and to increase profitability by gleaning relevant business information from unstructured operational data. Robotic Process Automation is expected to save companies 50-70% on labor costs by making intelligent use of resources, near-zero error rates, improved compliance and reduced process cycle time. And RPA doesn’t always mean redundancy. RPA allows employees to focus on only jobs humans can do; strategy, creativity and connecting with people. The key to delivering rapid automation success is finding the right balance between technology and skilled staff. With Virtual Workers managing structured process execution, human resources can be focused on activities that add greater business value. That’s better for staff, better for business efficiency, and also provides an improved customer experience. Want to learn Robotic Process Automation from industry experts? Robotic Process Automation Case Study – Back Office Administration. Robotic Process Automation Case Study and RPA Use Cases. How your company can efficiently and accurately optimise back-office resources for significant cost savings with the help of Robotic Process Automation (RPA). Robotic Process Automation helps in optimise back-office resources for significant cost savings. frustration for employees, as well as a waste of precious resources. RPA technology is designed to reduce or eliminate the need for people to perform back-office processes, such as those found in finance, accounting, supply chain management, customer services and human resources. Using RPA, you can automate administration and reporting tasks with Virtual Workers as your back office admin team. These robots handle end-to-end processes, essentially performing any task that a human user would otherwise do manually. A robot can carry out any type of task which is assigned to it, performing it quickly and accurately – every time. Automation is particularly useful for Finance and Accounting departments where they can automate accounts payable accounts receivable, order management, invoicing, collections and reporting processes to work more efficiently. RPA also works well for Human Resources, to automatically handle activities such as payroll and absence management, starter and leaver processes and employee data management. By eliminating repetitive and manually interactive processes, RPA drives efficiency, enhances productivity, consistency and accuracy. This enables companies to improve response time to new markets and adhere to global regulatory requirements. Challenge – With over 300 staff using a legacy mainframe application to manage the savings and investments for over 400,000 people, this organisation’s customer service operation was struggling to cope with its inbound customer requirements. Due to restrictions in the 18-year-old system, processing cases often required the use of Excel spreadsheets containing complex business rules, so handling the volume of requests from customers such as policy holders and independent financial advisers – such as updating details, accessing beneficiary details or calculating lump sum payments – was extremely manual and complex with handling each case taking an average of over 20 minutes. Virtual Workers provide automated execution of customer services activities, reducing average execution times from over 20 minutes to just 2 minutes. Actions can be initiated either by customer services agents or directly by customers or financial advisers in a simple web portal customised for each user type. been removed, improving accuracy – a vital factor in a regulated financial services environment. With 10x faster execution, customer experience is streamlined, and service staff are free to offer improved customer interaction. The organisation has estimated productivity improvements of circa £1.5M annually, and an ROI in less than two months. Robotic Process Automation Case Study – Digital Online Initiatives. Robotic Process Automation Case Study and RPA Use Cases. How your company can efficiently and accurately working together to work faster by connecting process islands with the help of Robotic Process Automation (RPA). Robotic Process Automation helps in Improving customer experience in digital & online initiatives. For most organizations, the challenge to achieve this is that legacy management systems have not been designed for self-service and are unsuitable or impossible to offer to customers direct interaction. But with RPA, existing services delivered in existing applications can be taken online in just a matter of days. Using a web-based portal to capture user requirements and display results and outputs, which seamlessly links to Virtual Workers who process requirements by interacting with existing applications and systems means that services can be digitized rapidly and non-disruptively, and offered online without change to the underlying process or systems. And because those systems remain unchanged, the digitized service can seamlessly operate alongside the existing human one, to allow a pain-free transition between communication channels, or even to leave both in place to serve different user profiles. Digitising services with RPA means any rules-based process can be offered for digital consumption and enables the business to offer a multitude of online, self-service tools, including online request catalogs, customer service functions or citizen support for public sector organizations. Challenge – This Public Sector organisation is responsible for managing the process for appealing penalties issued for parking violations. With 10.8M tickets issued annually, managing the processes associated with appeals involved high volumes of manual processes, paper-based transactions and exchange of information by physical post. Recipients of a ticket who decided to appeal would complete a form on the back of the ticket and post it, along with any evidence, to a processing centre, where the information would be scanned, validated and either processed or returned for more information. This was a labor-intensive process requiring a lot of human intervention, the risk of error was high and the interaction using paper and mail was slow, restricting the flow of revenue to the point that the cost of processing each appeal was more than the revenue they received from the associated fine. A single web portal was deployed to provide an online appeals service, with tailored theming to reflect the relevant local authority, where users were able to quickly and easily submit their appeal online. As information is entered, auto-validation ensures the forms cannot be submitted incorrectly – thus removing the 12-15% rework associated with incorrect or incomplete forms in the manual process. required information gathering and evidence collection relevant to the appeal, before passing to an adjudicator for final assessment. This efficient process demonstrated a significant reduction in the costs of manually processing appeals and a vastly improved citizen experience. Robotic Process Automation Case Study and RPA Use Cases. Robotic Process Automation Case Study – Human Resources Use Case. How your company can efficiently and accurately working together to work faster by connecting process islands with the help of Robotic Process Automation (RPA). Robotic Process Automation helps in manage data in efficiently and accurately working together to work faster by connecting process islands . Connecting Process Islands – It is not uncommon for end-to-end business processes to span multiple teams or departments within an organization or even externally into third party providers, partners or customers. Many find themselves with several islands of disconnected tasks, linked by inefficient handoffs and touch process flow. In some cases, the tasks themselves may already be highly automated, providing high efficiencies within the task, but ultimately these disconnected islands make it difficult to provide a fully optimised end-to-end flow. Connecting these pockets of activity, or existing islands of automation, is the key to a fully automated end-to-end workflow and a more efficient business process. RPA can provide the ideal solution to connect these islands and bring all the tasks together to deliver a fully automated and connected service to boost productivity, improve time to market and enhance customer service. struggling to manage its employee turnover process. With different employee details being held in a variety of disparate systems, the starters/leavers process was complex and inefficient. thus needing a great deal of data re-entry at each stage. An automated process was built to connect these islands of activity and deliver a fully automated end-to-end workflow process. The solution now takes information upfront via a simple secure web portal interface and initiates each activity sequentially or in parallel where possible. of resource now executed with a minimal human touch. It also offers the added benefit of ensuring that employees who leave the organization are immediately decommissioned from all associated systems and access rights removed has delivered immeasurable reductions in risk exposure. Robotic Process Automation Case Study and RPA Use Cases. RPA in Data Migration & Management. How your company can efficiently and accurately manage data with the help of Robotic Process Automation (RPA). Robotic Process Automation helps in manage data in efficiently and accurately. a greater margin of error. spreadsheets, effectively requiring individuals to log in and out of multiple systems, copying and pasting data between different sources and formats. Implementing RPA to automate this high-volume, low complexity tasks cannot only ensure optimal resource utilization but also improve employee productivity. By replicating human data entry, RPA can be deployed to transfer, manipulate and migrate application and system data quickly, reliably and with a full audit trail, thus avoiding manual re-keying and re-entry and vastly reducing the high instances of human error. By removing this the margin for error, the data becomes 100% accurate, so the insights and subsequent business decisions are more likely to succeed. Deploying RPA can also enhance customer and supplier system integration as it provides an electronic interface to the customer and/or supplier systems where a system to system, interface is challenging or not possible. Challenge – This IT and Business Process outsourcer was providing a management service for one of its customers, recording all activities in its own case management application, a shared platform used across all of their clients. However, this specific customer required the information to be recorded in its own dedicated system too. Using the client’s case management application as well as their own was simply inefficient. However, the two systems could not be connected due to client restrictions, so the only way to get case information from the client system to the service provider system and vice-versa was to use people. By recruiting temporary staff and redeploying staff from other duties, 12 employees were assigned to manually rekeying the records from one system to the other. This slow process was creating a huge backlog of cases to be migrated and updated. An automated solution was deployed with Virtual Workers replicating the data from one system to the other, replacing the 12 staff with just two Virtual Workers and delivering work out of hours to minimise the overall customer impact. The backlog of cases was quickly cleared and the reduced cost of temporary staff saved the client around £200K in the first three months of operation. Robotic Process Automation Case Study and RPA Use Cases. RPA in IT & Infrastructure Support. How your company can improve efficiency and faster time to deployment with the help of Robotic Process Automation (RPA). Robotic Process Automation helps in faster time to deployment in Information Technology and Infrastructure support. IT support staff are highly skilled, well trained and valuable resources. count to handle more high value, skilled tasks, or work on business improvement and change projects. Companies can optimise their IT resources with the support of a Virtual Workforce. Through either assisted-automation (automation with human support either to initiate or approve actions), or by fully automating (no human intervention) existing user actions and taking over labor-intensive administrative tasks, employees are freed up for more intellectually demanding activities. By focusing on subjective decision-making, innovation and customer-facing activity that can’t be automated, the IT team is far more efficiently employed and feel more professionally engaged. This Virtual Workforce is, of course, available 24/7. They don’t make mistakes. They don’t deviate from the defined process. They never have a bad day. They work at machine speeds. And at busy times, in an instant more of them can be called upon to step in and take up the load. They are simple to deploy – often in areas where automation was previously considered to be unviable, and they are easy to manage with a significantly lower level of investment. And above all, you can rest assured that the jobs are getting done – on time, consistently and accurately. challenge of a new client needing a niche skilled support solution for its systems and applications. The complex management requirements for the new client’s systems left the IT provider with the prospect of having to employ expensive experts to run a 24/7 service operation. Virtual Workers were deployed to manage and automate the various complex, low volume system administration tasks around IT applications and infrastructure, including validation, regular testing, diagnostics and fault remediation. This replaced the need to recruit further highly trained staff to perform these tasks. The quality of the service delivered by the provider has improved vastly, with previously time consuming, yet critical activities now being executed more regularly, ultimately offering speedy system support. The solution not only delivered a better service, but also produced an estimated saving of £250K in staff costs compared to the use of offshore resources, or £500K compared to locally employed staff. Robotic Process Automation Case Study and RPA Use Cases. How your business can improve efficiency and customer satisfaction with the help of Robotic Process Automation (RPA). When someone calls in, service agents have to navigate these applications while at the same time managing their interaction on the call with the customer. If users connect via email or messaging systems, agents need to translate information from those systems while executing the required actions. But having to jump back and forth between systems and screens shifts is slow and inaccurate. In a live call, the focus moves away from the caller and the perception of the customer is impacted. Disparate systems may require the same information – who hasn’t experienced being asked the same identity verification questions multiple times by the same call center? Additionally, post-call follow up, such as updating records and recording closure activity can take almost as much time as the call itself, thus negatively impacting upon agent productivity. A good customer experience can drive long-term growth. Which is why customer satisfaction should be the ultimate goal of service desk and call center performance. RPA can be used to automate many of the common tasks in a customer service or support desks, such as incident management, billing queries, user administration and updating records, to deliver many benefits. disparate systems and applications in one single console, build a unified knowledge base that delivers relevant data in real time, and automatically set up and run processes. Agents are freed from having to process repetitive, manual tasks and can focus on developing their customer-centric skills. And don’t forget, Virtual Workers can be many times faster than a person. This allows for a faster turnaround for customer requests and significantly improves SLAs. Challenge – A leading European IT Managed Service provider was running a support service for a leading industrial customer who had a large number of employees and a broad mix of legacy and new applications. Handling over 15,000 calls a month, a significant amount of time was being spent by the 1st line support team executing user administration tasks. In fact, due to the complexity of the systems and processes, the average time for each such incident was almost 6 minutes, as the agent had to inefficiently navigate various systems to access, manipulate and update information, subsequently offering an inefficient service and poor customer experience. Delivered within 2 weeks, the automated solution – provided through Virtual Workers in place of human agents – was able to complete tasks in less than 50 seconds – that’s an 83% reduction in execution time. efficiency saving of an estimated €1M. Robotic Process Automation From Thoughtonomy. In this fast-paced, competitive and dynamic world, the need for speed is vital. Businesses want increased productivity with less resource, more cost savings, and improved accuracy, to offer the ultimate customer experience. Customers increasingly expect an on-demand service with an instant response and service – anywhere and anytime they want it. accurately, and in turn, reduces costs and improves efficiencies, Robotic Process Automation provides the foundation for significant competitive advantage. of Virtual Workers operating as part of a blended human and machine workforce is here to stay. self-learning systems, the fact is that if these mundane tasks were automated, the benefits would be huge, with staff freed up to focus on higher value activities, improved speed, and accuracy and significantly reduced costs. application, website, user portal, email, Microsoft Office suite and more. rule-based process. As they are using (rather than replacing) an organization’s existing technology, they are both completely complementary to core systems and entirely non-disruptive for day-to-day business. multiple benefits. It is already having an impact at organizations currently deploying virtual workforces. In the next few years, RPA will become an essential tool for more and more businesses looking to reduce costs, enhance accuracy, increase scalability, boost productivity and increase compliance. The benefits are simply too significant to be ignored. Top 16 Apigee Interview Questions Answers For Experienced 2018. Here Coding Compiler, presenting a list of 16 advanced Apigee interview questions with answers. These Apigee API interview questions will help you to crack your next Apigee job interview. All the best and happy learning. What is an API management? What is apigee API used for? What is an API platform? What is the use of AWS API gateway? What is Azure API management services? What are the key features of API Gateway? How do you safeguard the security of your API infrastructure as data is exposed to mobile apps, developers, and partners? What is API Strategy and how does Apigee helps in building effective API Strategy? What is Apigee’s Edge and how it helps in Enterprise Data Integration? API Centric Architecture and What are the features? What are the features included in Apigee API management solution? What are the API Security features available in Apigee Sense? Apigee Interview Questions # 1) What is Apigee? Answer) Apigee is today’s leading provider of API technology and services for developers and enterprises that help businesses use APIs to securely share data and services across myriad devices and channels. Apigee delivers an intelligent API platform to accelerate the pace of digital business. Apigee Interview Questions # 2) What is Apigee Gateway? Answer) The API Gateway will often handle a request by invoking multiple microservices and aggregating the results. It can translate between web protocols such as HTTP and WebSocket and web‑unfriendly protocols that are used internally. An API Gateway is a core feature of your API management platform, although it isn’t the only feature. Key features of an API Gateway includes: ability to provide enterprise-grade security such as spike arrest, quota, and analytics. Apigee Interview Questions # 3) What is an API management? Answer) API management is the process of publishing, documenting and overseeing application programming interfaces (APIs) in a secure, scalable environment. Apigee Interview Questions # 4) What is Apigee API used for? Apigee Interview Questions # 5) What is an API platform? Answer) An API platform is an organization which brings together two or more distinct, but interdependent, groups of consumers using APIs. This creates a foundation for automated transactions between different networks. The platform unlocks hidden value within the organization by exposing its core as an API. Apigee Interview Questions # 6) What is the use of AWS API gateway? A) With a few clicks in the AWS Management Console, we can create an AWS API gateway that acts as a “front door” for applications to access data, business logic, or functionality from your back-end services, such as workloads running on Amazon Elastic Compute Cloud (Amazon EC2), code running on AWS Lambda, or any Web application. Apigee Interview Questions # 7) What is API Mashery? Answer) From a customer/platform perspective, Mashery is a complete API management solution that includes: API access control, authentication (OAuth 2, OAuth 1, etc. ), traffic management, caching, packaging (manage APIs as products), filtering, reporting/analytics, and more. Apigee Interview Questions # 8) What is Azure API management services? Answer) Use Azure API Management as a turnkey solution for publishing APIs to external and internal customers. Quickly create consistent and modern API gateways for existing back-end services hosted anywhere, secure and protect them from abuse and overuse, and get insights into usage and health. Apigee Interview Questions # 9) What are the key features of API Gateway? Apigee Interview Questions # 10) How do you safeguard the security of your API infrastructure as data is exposed to mobile apps, developers, and partners? Answer) Application access controls and threat protection are key security mechanisms for protection of APIs used by external or internal developers. Apigee API management ensures that internal developers or partners are productive in a secure, well managed platform. Apigee Interview Questions # 11) What is API Strategy and how does Apigee helps in building effective API Strategy? Answer) APIs are the key channel through which transactions are executed and content is shared and distributed. A successful API program requires the right API strategy. Apigee enables companies to realize their API strategies with technology that makes it easier for developers and providers to explore and use APIs. Apigee Edge Enterprise is a robust management platform for the most demanding enterprises. Apigee Edge simplifies managing the digital value chain with comprehensive Developer Services, Analytics Services, and API Services. Apigee Interview Questions # 12) What is Apigee’s Edge and how it helps in Enterprise Data Integration? A) Companies interact with their customers and partners via apps and services. These apps generate a large volume of data, which is not always in the control of the enterprise. However, enterprises need to derive actionable intelligence from this data, to make informed business decisions. Today’s data is designed for efficiency of consumption rather than efficiency of storage, and are better served by API-based integration. Using APIs for enterprise data integration, organizations can get direct visibility into how their data is consumed. Apigee Edge is the flagship API management product in Apigee’s intelligent API platform. Through its enterprise data integration capabilities, you can optimize data from the backend systems to customer-facing apps. Apigee Interview Questions # 13) API Centric Architecture and What are the features? A) APIs are now the foundation for the development of scalable and productive enterprise applications. The requirements for highly personalized, contextually aware, predictive applications delivered to different types of clients with higher levels of scale have pushed application architecture to move beyond traditional web application to a focus on API-centric architecture. Apigee Interview Questions # 14) What are the features included in Apigee API management solution? Apigee Interview Questions # 15) What is Apigee Sense? Answer) Apigee Sense is an innovative API security product that helps customers protect their APIs from adaptive threats like bad bots and automates threat protection at the API layer for OWASP Top 10 threats. Apigee analyzes billions of API calls, detects threat patterns, and ensures protection with measures like blocking and throttling. Apigee Interview Questions # 16) What are the API Security features available in Apigee Sense? JSON threat protection with Apigee.